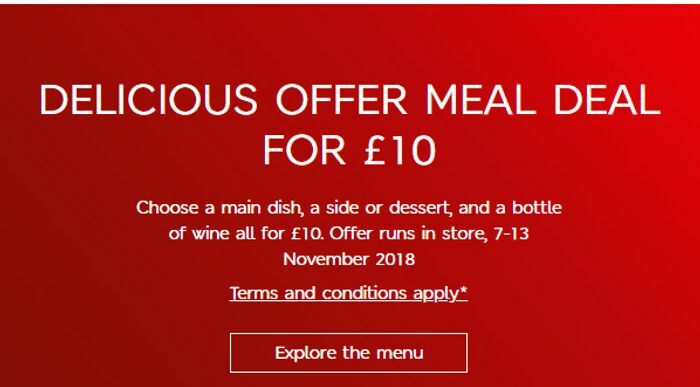 M&S Meal Deal for £10 is Back! Choose a main dish, a side or dessert, and a bottle of wine all for £10. Love the M&S meal deal. Love the dine-in - thank you.